MJHS Hospice and Palliative Care’s mission is to manage pain and symptoms and to provide comfort to those patients dealing with life-limiting illness. We are part of Metropolitan Jewish Health System, an expansive health system rooted in Jewish values, and we operate one of the largest hospice programs under Jewish auspices in the New York region. We are bound by an oath to “do no harm” and to provide culturally sensitive care. With generous grant funding from the MJHS Foundation and UJA Federation of New York, we developed educational programs, tools and resources to aid caregivers in the holy work of caring for Holocaust survivors facing end-of-life illness. Considering that the youngest Holocaust survivors are about 80 years old and the oldest are over 100, care-giving team members are often not familiar with or knowledgeable about the experiences of these survivors and how their traumas manifest themselves as they age and become seriously ill.
1. In 2011, we conducted a survey to explore and understand Holocaust survivors’ attitudes about accessing end-of-life care, advance care planning and health directives. We know from experience that Holocaust survivors can be difficult clients to serve. They are often suspicious of strangers, non-compliant with treatment plans, extremely anxious and sometimes demanding. Survivors might not discuss, in practical and concrete terms, their wishes for the end of life when dealing with serious/advanced illness. 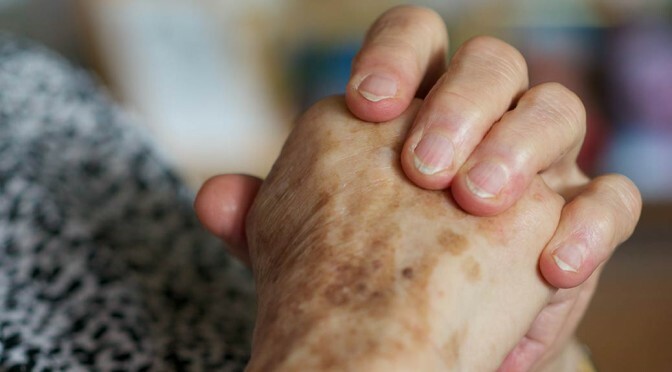 Many Holocaust survivors do not know – nor seem to care to know – about hospice care, which creates an unmet need among this group and leads to late access to support services that could have benefited them much earlier. In interviews with four sample populations – Holocaust survivors, non-Holocaust survivors, second generation survivors and non-second generation survivors – inter-generational communication (or lack thereof) emerged as a recurrent theme. Initially identified as a deficit, “inter-generational communication” became an impetus to develop ongoing educational forums and resources to enhance the competency and sensitivity of professional caregivers, producing best practices for working with Holocaust and second generation survivors. Based on our survey results, we started educating our entire staff as well as clinicians from other hospitals, social service agencies, skilled nursing facilities and health systems on how to be sensitive to the needs of Holocaust survivors, how to uphold their dignity at the end of life and how to accompany them on their final journey in peace and comfort. 2. In May 2011 and 2012, we implemented Holocaust museum programs for clinicians at the Museum of Jewish Heritage in lower Manhattan. 130 clinicians were guided through the core exhibit, heard testimony from Holocaust survivors and participated in a didactic session given by Irit Felsen, Ph.D., a highly respected Clinical Psychologist and Trauma Specialist. The attending professional caregivers gained a practical understanding of the impact of PTSD on aging Holocaust survivors, learned concrete skills to address the needs of this population and became much more attuned to their level of awareness about how they, as clinicians, might react to victims of war. Additionally, a group of 15 hospice doctors, nurses and social workers participated in a guided tour of the Deadly Medicine exhibit, on loan to the Museum of Jewish Heritage, in January 2012. 3. As a matter of policy, MJHS Hospice and Palliative Care has incorporated Holocaust survivor sensitivity training into our in-depth orientation and on-boarding process for all Hospice and Palliative Care employees. The guidebook includes a case study reflecting some of the complex family issues that often arise when caring for Holocaust survivors and their family caregivers. Many of the ethical questions that emerge pose challenges to professional providers: How to reconcile the dual loyalties of superior clinical care and the desires of well-intentioned and loving caregivers. Mr. D., the hospice patient profiled in the case study, so benefited from his enrollment in our home hospice program that he eventually “graduated” from it. He remained part of our wide spectrum of MJHS health services and received palliative and home care support for many months. Later, when his clinical status declined again, his adult daughters revisited their decision about not sharing all the medical facts with him. This time, they opted to tell him the truth about the severity of his illness. Mr. D. was again admitted to the MJHS Hospice Program in his own home; now, completely cognizant of his situation and embracing it fully, he was granted the opportunity to make his final good-byes and to bless those he was about to leave behind forever. A close friend of mine’s mother is a Holocaust survivor, and has recently been diagnosed with terminal Cancer. She has dual citizenship in the USA & Canada, but has lived in Canada now for several years, and never applied for Medicaid. After both of their 1st spouses died, she has been married to her 2nd husband (who is also a Holocaust survivor, and a family friend she had lost touch with due to the war,) for 40 years now. her, and don’t want her to return to home. Therefore, she is in a hospital in Canada, and they have treated her needs, but alas she has been given 6-12 months to live at this point. Unfortunately, both of her grown children & grandchildren live in the US with their families. They want her to be able to live out the rest of her life in the US, so she can be surrounded by her family full-time. However, she has no insurance in the US. Is there a way to fulfill their wish for her? They feel frustrated & hopeless with the situation.